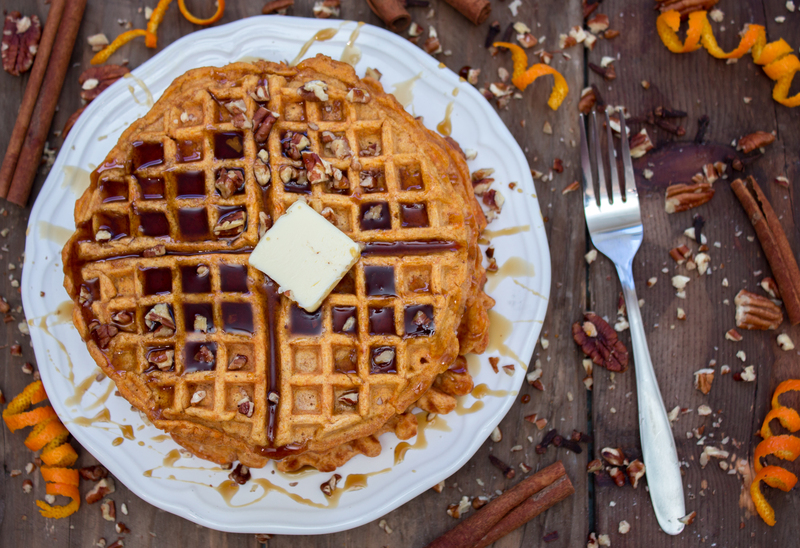 This sweet potato waffle recipe comes to me from my good friend Dana Schnittman. If you have my cookbook, Dana is the naked chick. If you don’t have it… I bet you want it now! I’ve made a few adjustments to her original recipe, but both are amazing. Mmm! 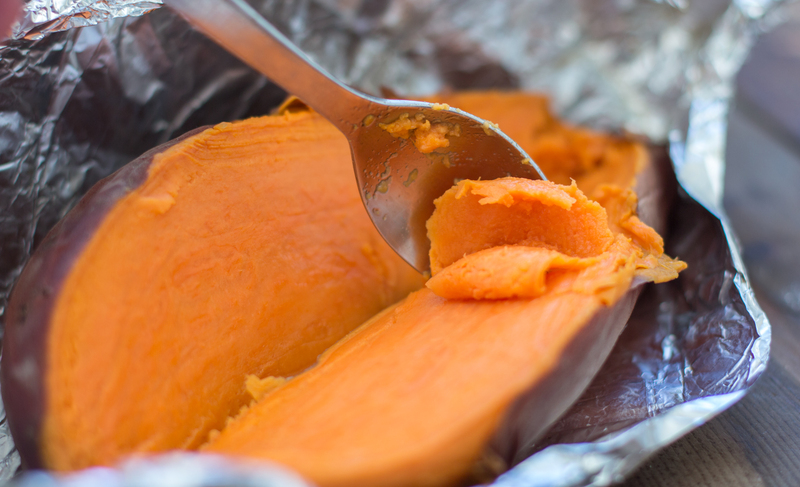 Clean the 1 1/2 pounds sweet potatoes by soaking them in warm water and then scrubbing them. Dry them, wrap them in tinfoil and bake them at 400 degrees F for about an hour, until tender. When done, let cool... unwrap and scrape the potato meat from the skin into a large mixing bowl, composting the skin. 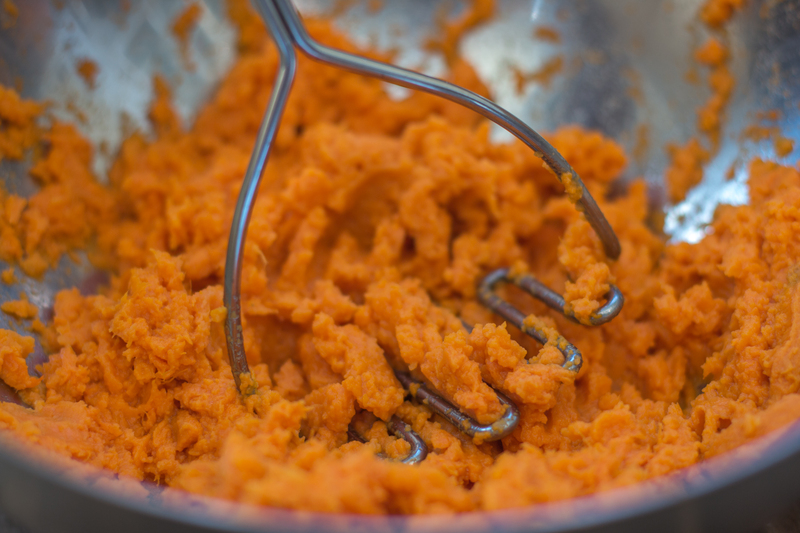 Mash the sweet potatoes until mostly smooth. You can leave it a bit lumpy as it will just add some texture to the waffles. 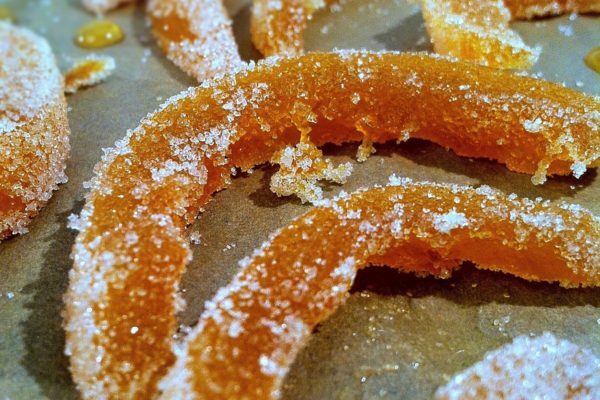 In a separate mixing bowl, combine 1 1/2 cup mashed sweet potato, 1 1/4 cup milk, 1/4 cup brown sugar, 1/4 cup melted butter, 2 egg yolks, 1 tablespoon of orange zest, and 1 teaspoon freshly grated ginger. I'd show you a picture of this but it sorta looks like baby poop, so whisk it together and let's just move on, shall we? In another mixing bowl (you're gonna have some dishes to do but it will be worth it! 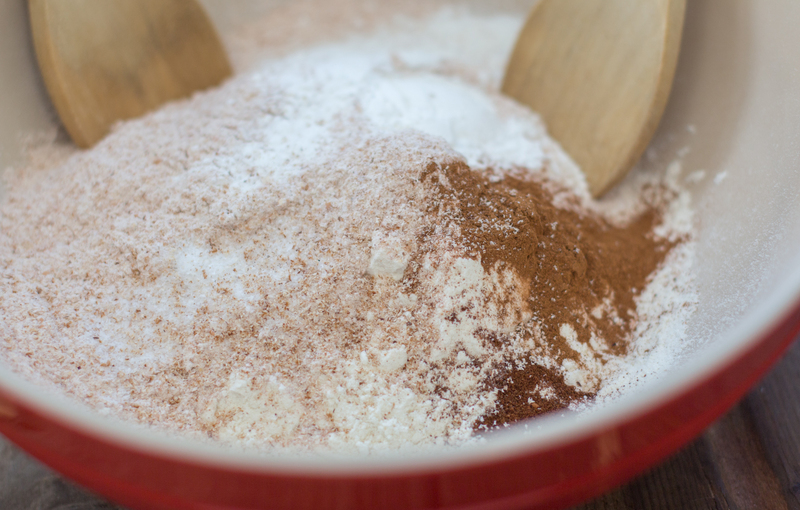 ), whisk together the 1 cup all-purpose flour, 1 cup whole wheat flour, 1 tablespoon baking powder, 1/2 teaspoon of salt, 1 teaspoon ground cinnamon, 1/4 ground clove, and 1/8 teaspoon freshly grated nutmeg. 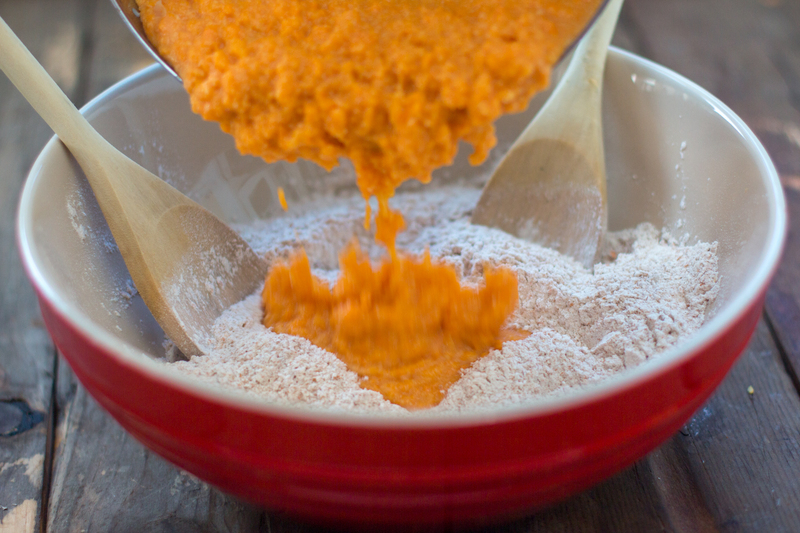 Mix the sweet potato mixture into the flour mixture and combine. 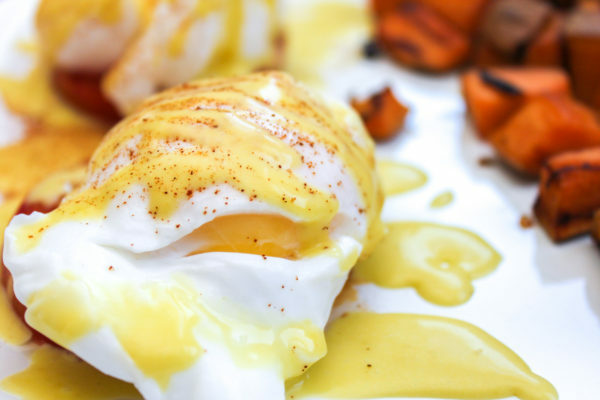 Next we are going to beat the egg whites. If you're a sadist, you might need a Kleenex for this next step... it's ripe old fun! This works best when the whites are at room temperature; they get stiffer. Yah, I said stiffer. 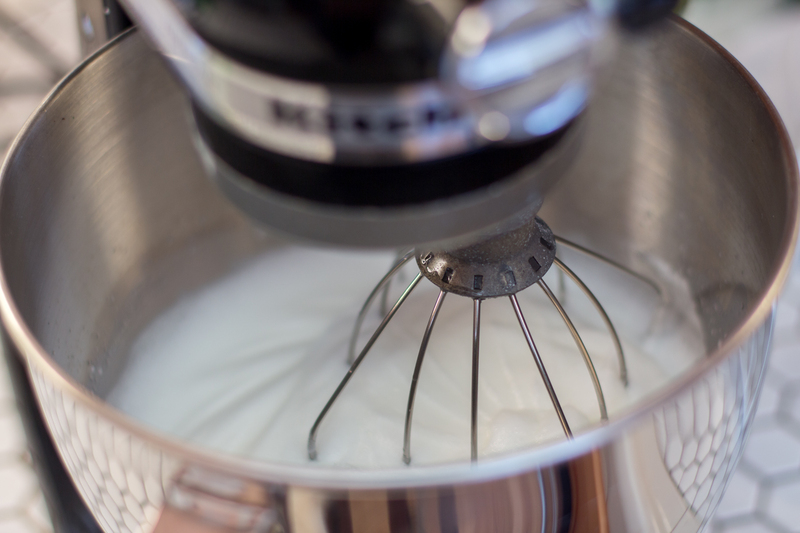 Beat them in a stand mixer (or hand mixer) until they form peaks. 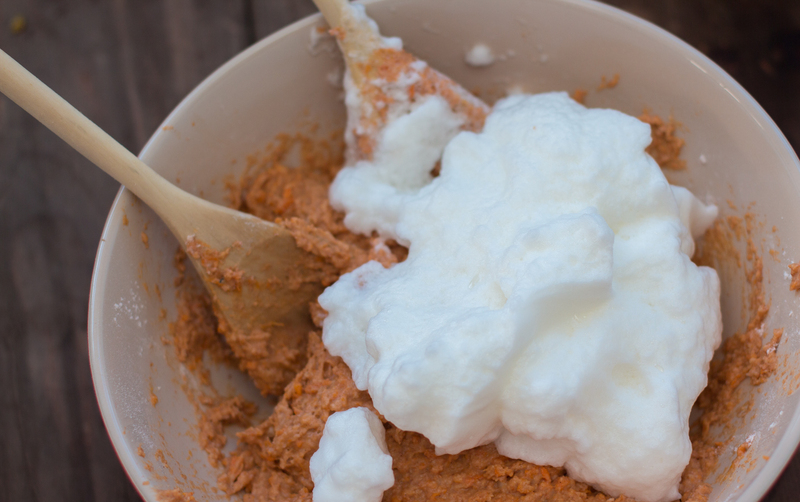 In parts, fold the egg whites into the sweet potato mixture. Now let's hella make some waffles, shall we? 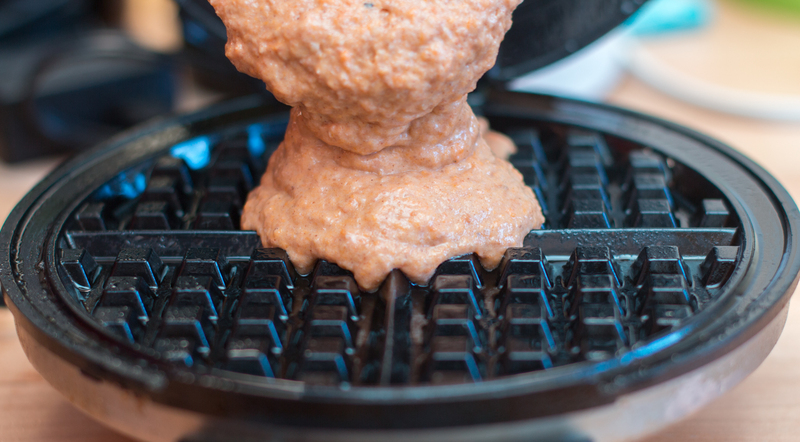 Using a warmed waffle iron, coat all sides with cooking spray and then add a heaping cup of waffle mix to the waffle iron. More or less depending on the size of your iron. Cook them per your equipment's instructions. When they are done, you can top these with almost anything. 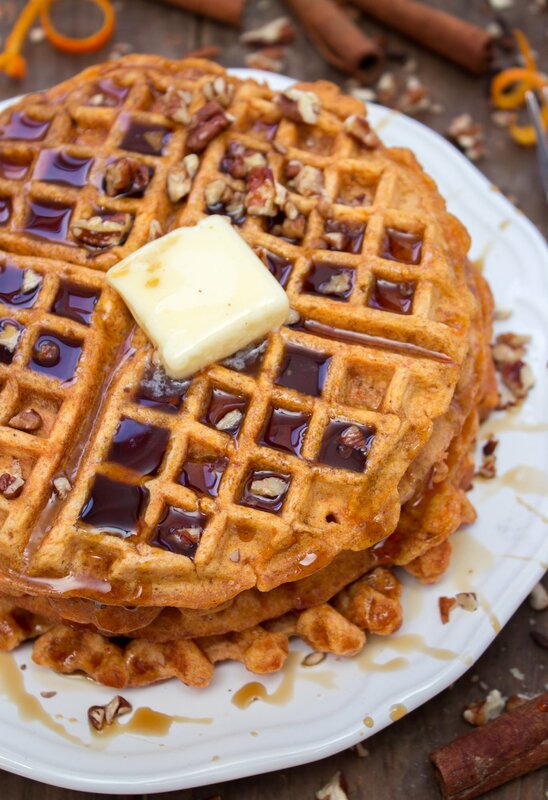 They are a bit savory, more so than regular pancakes, so I topped them with crushed pecans and maple syrup. Then I motorboated the hell out of them!